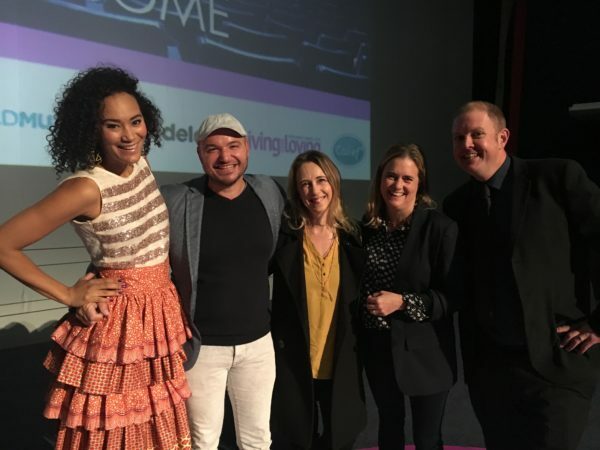 We were invited by BURGER KING® South Africa to attend a movie premier yesterday at Ster Kinekor at The Zone in Rosebank. BURGER KING® South Africa have partnered with Toy Kingdom and Ster Kinekor for the long awaited premier of The Little Prince Movie. 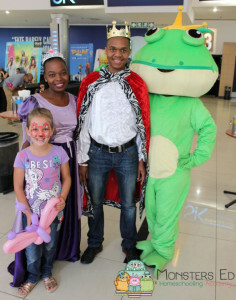 The kidlets were treated to a visit from the Prince, Princess and the Frog Prince. 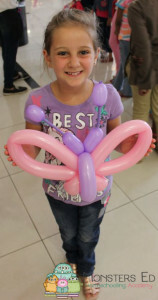 There was also a balloon artist and face painting before the movie started. 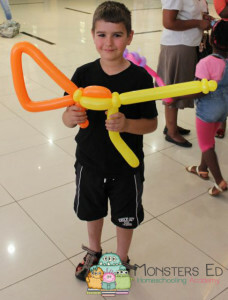 Koko (who has decided that he’s too old for face painting *sob*), asked the balloon artist for a rifle. 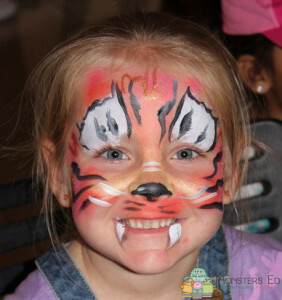 She is FANTASTIC and made the girls each a Tiger, Pixie’s animal of the day (there was love at first sight), and a butterfly for Fifi. 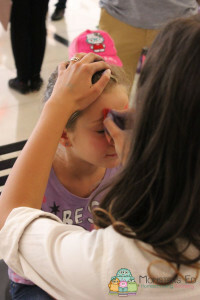 The face painter was amazing. Fifi asked to be made into a bear. How beautiful did she turn out? Can you spot the glitter that was added? A girl can NEVER have too much glitter. 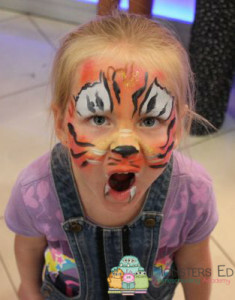 Pixie asked to be made into a tiger and giggled her way through the whole experience. 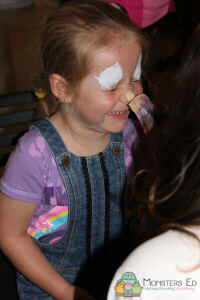 The face painter was patient with her and worked around Pixie’s constant touching and smudging. Our scary Bear and Tiger! 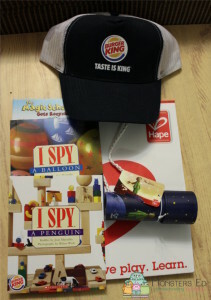 Once we got into the cinema, we were surprised by these little goodie bags filled with a Cap and Scholastic booklets from BURGER KING® South Africa and a “The Little Prince” kaleidoscope from Toy Kingdom. The movie was amazing. I highly recommend it to everyone, of all ages. 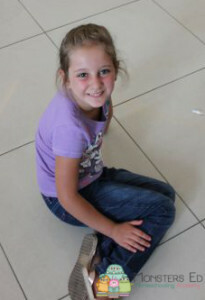 Pixie, who is 4, sat through the whole movie till the end. 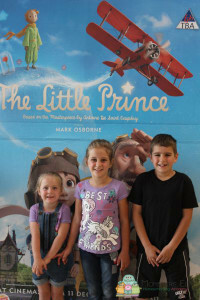 Koko and Fifi loved it and have asked for us to purchase the DVD to watch again when it becomes available. It’s a beautifully told story about a little girl who lives in a very grown-up world with her mother, who tries to make sure she is prepared for it. Her neighbour, the Aviator, introduced the girl to an extraordinary world where anything is possible, the world of The Little Prince. 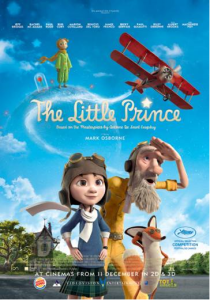 The movie is an adaptation of the book, “The Little Prince”, by Antoine de Saint-Exupéry. 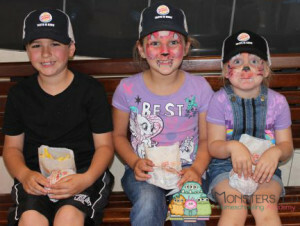 Afterwards, BURGER KING® South Africa served a lunch of Burgers and Fries. The kidlets and I had a fantastic time! If you do nothing else this December Holiday, take your children to go watch this amazing movie, you won’t regret it. I’ve had so many people ask me what applications my children and I use on our Samsung Galaxy Tab 10.1 that I’ve decided to write a post listing, with full descriptions, the applications we most frequently use. Most of the applications we use are free. They say that this app is suitable for children up to the age of 8, however, we have a user for Noo (10) too, that way all the apps he is allowed to access are right there in one place and he isn’t fiddling around on the tablet. We are BIG on the kids not having internet access without strict adult supervision, this way the kids can play on the Tab without us worrying that they might be getting into something they should not. Fun, educational games for kids 8 and under. All your child’s favorite Android apps in one place. With our Child Lock feature, kids stay safely in Kid Mode! 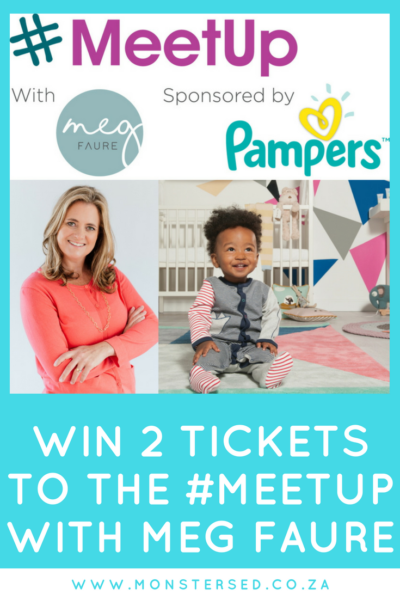 Winner of 10 awards & trusted by millions of kids & parents! Find us on Facebook & Twitter! ✓ Add all your child’s favorite apps – play Angry Birds or Cut the Rope inside Kid Mode! ✓ An art studio where kids can paint, color, & draw! ✓ You need Adobe Flash to get the games in our app. ✓ To help us customize Kid Mode for your child, you’ll need to create a free account. ✓ You have to enable our Child Lock feature in the Parent Dashboard. ADD ALL OF YOUR KID’S FAVORITE APPS TO KID MODE! Popular examples: Angry Birds, Cut the Rope, Doodle Jump, Words with Friends, Abduction, Fruit Ninja, Angry Birds Rio, Paper Toss, Talking Tom Cat, Bubble Blaster, Tiny Wings, Cube Runner, Cut the String, Zoo Club, Zebra Paint. Babies will love our baby songs, lullaby music, & kids videos about shapes, letters, patterns, numbers, the alphabet, & animals. 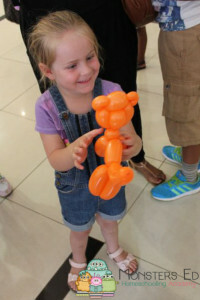 Toddlers will love learning their abcs, numbers, & shapes with games, songs & cartoons from Blues Clues & Winnie the Pooh. In art, kids sketch, paint & doodle! Kids get fun preschool songs, abc letters & number videos, matching & puzzle games and Dora counting games from fun sites like Nick Jr, PBS kids & Disney. In art, kids paint shapes & draw! Preschool kids get fun puzzles & preschool games teaching phonics & counting numbers. Kids games from Thomas the Train, Tigger, Mickey Mouse & Dora. 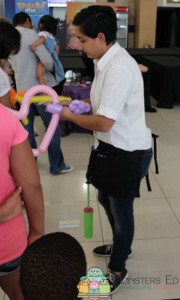 In art, kids paint & draw! Kids get fun kindergarten math & reading games, jigsaw puzzles, hidden object games, dinosaur & train games, drawing games, & videos from Handy Manny & Curious George. Kids get math games in addition & subtraction, vocabulary word games for the reader, & YouTube science videos about plants & the weather. 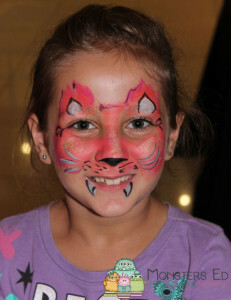 Boys & girls alike will love our fun Kung Fu Panda, Toy Story, Cars, fairy, princess & pet games. Kids get 2nd grade math games in multiplication & division, YouTube science videos about planets, & reading & language games. Dress up, arcade, sports & racing games from their favorite TV & movie characters! Kids get math games on fractions, reading games on grammar & spelling, fun brain games, action games, logic puzzles like sudoku, & mazes. 3rd grade games include Yugioh, Harry Potter, Pokemon & Star Wars. Add apps for them like Paper Toss & Tiny Wings! With Video Mail, kids have their own Skype & Facetime! Use our tablet app when you’re in restaurants, on long flights, or grocery shopping! Toddler Preschool Complete is Toddler Teasers premier app that includes 4 game modes, 30 categories and 3 languages. Retaining our focus on simplicity, your child will be able to easily navigate the app but allow you to control the categories, languages and other settings in the toddler safe menu. In our funnest game yet, your toddler will learn everything from shapes and letters to musical instruments and fractions. Approved by teachers, parents and toddlers alike Toddler Teasers apps have educated and entertained millions of toddlers around the world. • Fully voiced over in English, Spanish and French. • 4 ways to play: Quizzing, Flashcards, Toy Box and Puzzle game modes. • Simple toddler friendly game play with no added distractions or menus to get stuck in. • Colorful high resolution artwork and fun music keeps children engaged. Toddler Teasers was started when two parents realized their 2 year old child could use their iPhone better than most adults. 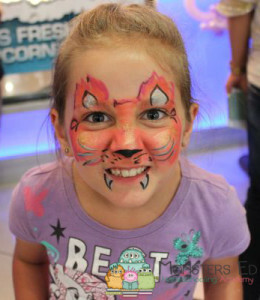 Since 2009, Toddler Teasers has sold over a million apps in the App Store and has been reviewed hundreds of times by magazines, app review sites, blogs and television. 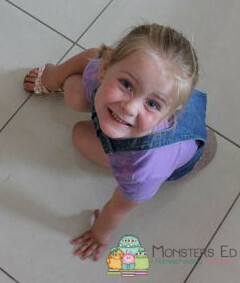 We love to see videos parents post online with their toddler mastering their shapes with Toddler Teasers. Thank you for all the support and we look forward to continuing to provide high quality educational toddler games. With Kids ABC Phonics, your kids will learn the alphabet letter sounds – guaranteed! Kids ABC Phonics teaches letter sounds and the basics of blending, but does not teach the next step, which is fluency in actual reading. Developing reading skills is a separate educational goal, which is covered in a separate game, called Kids Learn to Read, which was featured at the Google I/O on May 11th. Including in-depth reading skills in Kids ABC Phonics would detract from the focus of this game and make it too complex to invite and delight children. ➊ Learn Letter Sounds. Kids hold and turn a picture-filled letter block and hear the ABC phonics being pronounced. ➋ Build Letter Blocks. Children have fun building phonics recognition skills by making their own ABC blocks. ➌ Pop Letter Bubbles. Kids love to pop bubbles. But don’t be fooled. By the time children are done with this game, they will know what letter goes with which sound by heart. ➍ Make words. While putting puzzles together, kids learn the basics of phonics blending. These skills will be further exercised and expanded in the upcoming Kids Reading game. 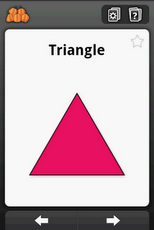 We use this app to reinforce the shapes Koko and Fifi have learned. Cube Circle – Teach toddlers/preschoolers shapes using educational flashcards! * Use Edit Mode to change the text and pictures. 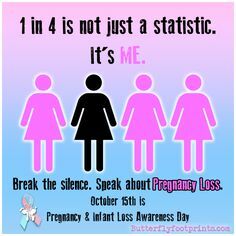 Make it your own deck by adding your voice or your child’s! 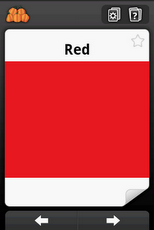 * Star the cards that you would like to review with your child and use the Favorites Mode to create your custom deck. * Randomly show a letter using the Random Button. * Swipe through the cards, or use the large buttons to move from card to card. * Turn off the audio using the Quiz Mode. Designed for children who are learning their numbers and learning to count, this flashcard application shows each number from one to ten on the front face of the card, and a quantity on the back face of the card. 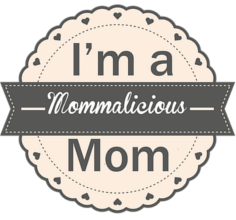 * Use Edit Mode to change the text and make it your own deck by adding your voice or your child’s! 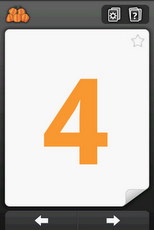 * Touch the bottom right corner of each card to “flip” it and see the associated quantity. 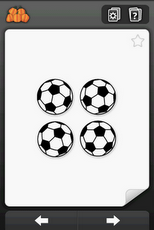 * Swipe through the cards, or use the large buttons to move from number to number. 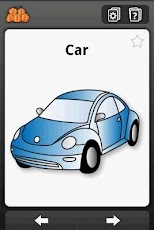 Car Bike – Teach preschool/toddler children about their world with flashcards! Truck! Train! Plane! 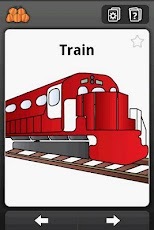 On the Go teaches young children the names of various transportation vehicles. 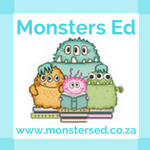 * Brightly colored images to keep kids interested. * Edit Mode to change the text and pictures. Make it your own deck by adding your voice or your child’s! Black! Green! Red! Blue! 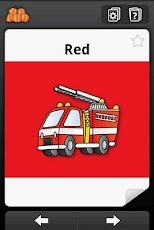 Colors flashcards help your child learn the colors by showing a big color block on one side of the card and a picture of an object on the other side of the card. * Use Edit Mode to change the text and pictures. Make it your own deck by adding your voice or your child’s or customize to another language! * Touch the lower right corner of the card to “flip” it and see the picture on the other side. Use your imagination and building skills. 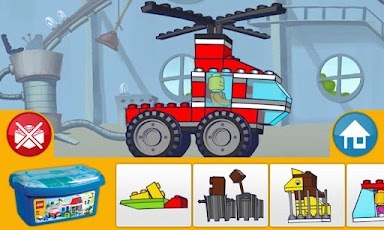 Use your imagination and building skills with the LEGO® Large Brick Box (6166) app. 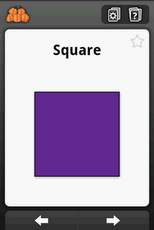 Starter app for children ages 2-5 who are just beginning to use a touchscreen. LEGO® DUPLO® JAMS provides an interactive, musical world for your toddler or pr eschooler to discover the joy of building.Set to upbeat playroom songs that even parents will enjoy, this app lets children build their imaginations by clicking bricks to explore colorful worlds as they sing along to catchy tunes. 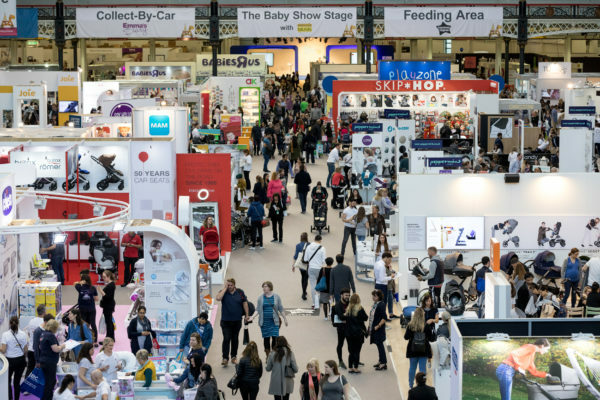 From trains and race cars to zoos and oceans, there’s something to engage every child’s interest. 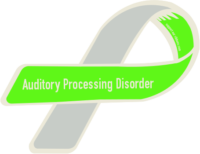 Play experiences range from learning the alphabet to simple memory matching exercises. 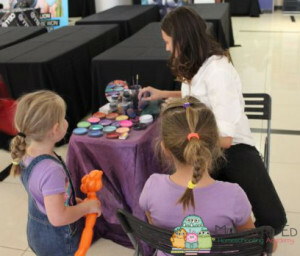 Children can also customize their playtime by adding sounds to put their own creative touch on each world. Kick off your child’s building career with LEGO DUPLO JAMS. Then, find these songs and other DUPLO JAMS free on iTunes or facebook.com/LEGODUPLO to add creative building fun to your playroom. 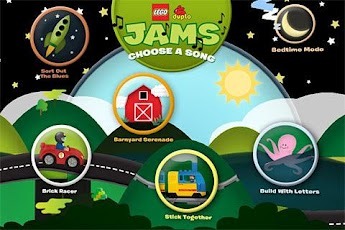 – Five songs and worlds to discover: Barnyard Serenade, Brick Racer, Build With Letters, Sort Out the Blues, Stick Together and a special “Almost time for Bed” Mode. This is by far Koko’s favourite app at the moment. He loves reading this book over and over again. Funny, likeable Little Critter is at it again! He struggles to remember what he is supposed to do each day. On rainy days he remembers his raincoat but forgets his boots. On school days he gets to school on time but forgets his lunchbox. At home he takes a bath but forgets to use soap. Poor Little Critter! He tries hard but hasn’t quite mastered the art of how to get through the day. Every young child will understand Little Critter’s confusion and laugh with him from start to finish! New features only available in this interactive omBook for your Android device include professional narration, background audio and enlarged artwork for each scene. LITTLE CRITTER, MERCER MAYER’S LITTLE CRITTER and MERCER MAYER’S LITTLE CRITTER and LOGO are trademarks of Orchard House Licensing Company. All rights reserved. Teaching fine motor skills to little ones just got easier. With the TeachersParadise.com Animals! Shape Puzzles for Android; colorful fun puzzles pieces are easily snapped together to form cute animals. After the animal puzzle is complete, the animal word will appear and the animal name will be heard. Want to play again? Just shake the phone to restart the puzzle or continue to a new one! 50 animals and more than 270 puzzle pieces for hours of fun! Initially this game wasn’t played allot by Fifi, she now plays it only if prompted. Koko enjoys it and will occasionally sit with Fifi and they play together. This memory game app will keep your kids entertained, educated and quiet in car, in a restaurant, on a plane or everywhere. * Animals Memory Game will improve kids’ memory skills. * Animals Memory Game will develop their concentration. * Animals Memory Game will develop kids’ cognition skills. * Animals Memory Game will help with the recognition of letters of alphabet. * Animals Memory Game will help with the recognition of objects. * Animals Memory Game app will keep your kids educationally entertained with funny sound effects and animals’ real sounds. * Animals Memory Game has cute graphic images. * Animals Memory Game is easy to use. * Animals Memory Game user interface is simple with guiding clear images for kids. * Animals Memory Game will help your kid’s memory training. * 6 different kinds of memory game. * Cute Animals Memory Game – Level 1: This game is the easiest with 16 cute animals. These cute shaped animals will help your kids to improve memory skills, concentration and cognition skills with colorful graphics. * Jungle Animals Memory Game – Level 2: This memory game includes 20 jungle animals with real sounds. 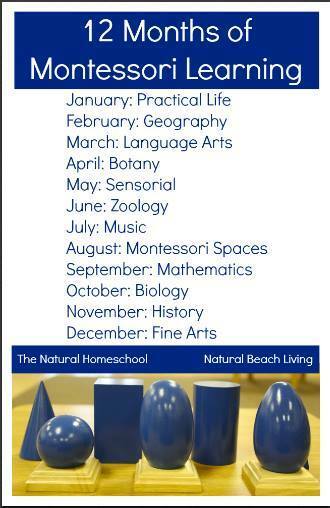 Your kid will learn about animals while acquiring concentration and cognition skills. Jungle Animal Game is designed to educate and entertain kids with sound effects! * Dog Memory Game – Level 3: Dog memory game has different kinds of dog poses with barking sound. This funny dog game will keep your kid busy and entertained while improving their memory skills. * Frog Memory Game – Level 4: This memory game is more advanced with the letters of the alphabet. It will help your kids to recognize letters of the alphabet while keeping them interested with colorful graphics and sound effects. * Farm Animals Memory Game – Level 5: Your preschool kid will love these funny and cute farm animals with their real sounds. It has 17 farm animals and 6 different backgrounds randomly set. Another fun way to teach kids animals and improve their cognition skills. * Sea Animals Memory Game – Level 6: Sea Animals memory game has different kinds of sea creatures. This game includes 67 different sea creatures to keep your preschool kid busy. Fuelling Powerful Mental Arithmetic Development: Integers, Decimals & Fractions. 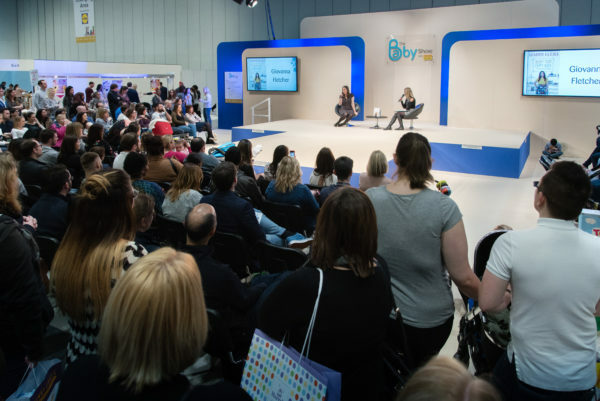 As part of a daily routine, “Little Genius” will not only develop mental arithmetic speed and confidence, it will also make future progress with a wider range of topics much easier. Noo has his own notebook and at the beginning of each day I load the lesson plan for the day. Each day has its own planner. That way he knows exactly what he needs to do per subject and whether its an individual, work with mom or group activity. The stress it has taken out of the day for both of us is immeasurable. Our school day runs allot more efficiently now that he has everything he has to do in writing. 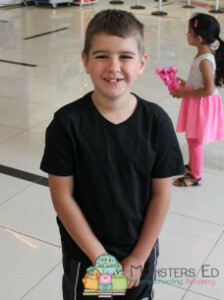 He also seems allot less frustrated with the amount of work he has to do now that he is in Grade 4. Evernote turns your Android device into an extension of your brain.